This paper focuses on a study aimed at examining the great role played by Qatar in mediation of political conflicts and disputes in the gulf region, which has enabled this tiny country to gain much diplomatic prowess. To realize this objective, the researcher has relied on secondary information from various academics sources related to the topic for this study. The researcher focuses on Qatar mediations to past conflicts and disputes in four nations namely; Yemen, Sudan, Libya and Lebanon. The available information in various secondary sources is combined and analysed to provide an adequate coverage of Qatar’s intervention policies in conflicts and disputes in the aforementioned nations. The analysis demonstrates the success of Qatar in mediation strategies that have helped this country to become a major regional force in intervening to conflicts and disputes, either alone or in coalition with other international actors. The researcher relied on Qualitative strategy to achieve the results for this study. The analysis of the various academic sources indicate that Qatar has recently achieved much diplomatic progress compared to most nations in the gulf region and globally, which have always been perceived to possess more power and influence than this tiny nation. This success has been brought out by its unique and effective mediation approaches. Before presenting the methodology and analysis of the secondary data, the paper gives a critical overview of the past academic literature related to the topic of study. Qatar is a tiny country located in the Persian Gulf, bordering Saudi Arabia in the north. It is a constitutional monarchy, meaning that it is led by a single ruler known as the Emir (Blanchard, 2011, p. 1). Since the Al Thani clan is the dominant group in this tiny peninsula country, the Emir has always been a male member of this clan. Qatar has a small population of approximately 1.7 million people and only around 225,000 of these are citizens of this nation. The rest are foreign residents and temporary labourers, as Blanchard (2011, p. 1) explains. The Emir of Qatar has absolute power over people and thus, he dictates most of the affairs of this nation. Recently, there have been efforts by Emir, Sheikh Hamad bin Khalifa Al Thani to increase the country’s regional influence and global profile (Blanchard, 2011, p. 1). In some cases, Qatar has been able to succeed in intervention efforts to disputes without or with little support from other international actors. In Lebanon case, Qatar succeeded in mediation efforts through little support from Saudi Arabia, United Nations and other nations in the gulf region. In the Yemen case, Qatar intervened alone and through its efforts were frustrate severally, no other nation has went as far as Qatar did. In other cases, Qatar has coalesced with other international actors to mediate conflicts or to support a revolution. For instance, in Libyan revolution, Qatar joined other international actors such as North Atlantic Treaty Organization (NATO), United States, United Nations, France and Turkey to support operations that led to overthrowing of Gaddafi’s government (United Nations, 2009, p. 12). According to Blanchard, (2011, p. 2), Qatar’s government approach to regional affairs has been unique from other nations in the gulf region and can be described as a “multidimensional balancing act.” This tiny country has always acted as an honest broker in its mediation efforts and has always avoided taking sides. This is the main reason that has made Qatar to achieve its status as a major diplomatic actor in gulf region and globally. Qatar’s diplomatic prowess has also been enhanced by soft power over Al Jazeera satellite television network which has enabled Qatar to become a key player in almost all issue taking place in the Persian Gulf. According to Blanchard, (2011, p. 4) this tiny nation has been using its vast resources to join other foreign forces to reshape the region. The ability of Qatar to become a major regional and international force can largely be attributed to its vast financial resources and its ability to attain economic influence during periods of crisis especially in the gulf region. Qatar depends largely on Oil and natural gas export proceeds which according to Blanchard, (2011, p. 4), forms over half of government’s revenue. Qatar has rich oil reserves estimated at 25.4 billion barrels, though this is less than major Persian Gulf producers such as Iraq (112 billion barrels), Kuwait (96.5 billion barrels), and Saudi Arabia (252 billion barrels.) However, according to Blanchard (2011, p. 4), Qatar has gas reserves which are ranked the third largest in the world, estimated at 896 trillion cubic feet. Further, coordinated petroleum production of Qatar Petroleum, a state-owned oil firm with OPEC has helped to increase crude oil output in Qatar approximately from 593, barrels per day in 1999 to around 824, 000 barrels per day in December 2008. It was estimated that as of January 2011 crude oil production in Qatar was 850,000 barrels per day. According to (Blanchard, 2011, p. 16), Qatar has in recent years trapped global financial markets and invited foreign investment which has helped the country to finance and support the required facilities in the extraction of gas and liquefied natural gas. The private sector in Qatar has also attained tremendous positive growth, which has been constant over time. According to a report produced by the International monetary Fund (IMF), the overall growth in GDP for Qatari was 16% in 2010, one of the highest in the world. The report projected that Qatar would achieve further growth in GDP in succeeding years and remain strong in the long-run (Blanchard 2011, p. 4). The GDP growth which is largely export fuelled as well as the country’s small population have enabled the country to rise to top of the global per-capita GDP rankings. United States Central Intelligence Agency‘s report produced in 2010 estimated that Qatar had the highest growing GDP in the world (Blanchard, 2011, p. 4). According to Blanchard, (2011, p. 4) the Qatari government has always achieved a surplus in its budget and it has been predicted that fiscal surpluses above $6 billion will continue through at least the next three years (Blanchard 2011, p. 4). In short, various factors have contributed to tiny Qatar’s relatively large profile globally, including its leaders, its location, its explosive economic growth and its multifaceted foreign policy. 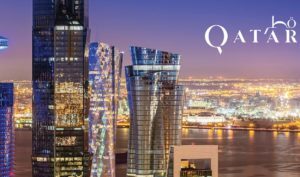 In view of this information, this paper explores how Qatar, a tiny Persian Gulf state, has recently emerged to become major force in the Gulf regional. The paper examines Qatar’s intervention efforts to end political disputes and regional conflicts in four nations namely; Yemen, Lebanon, Sudan and Libya. Precisely, the paper examines Qatar’s foreign policy interventions which have enabled it to succeed in mediation efforts, either alone or in coalition with other international actors. As well, the paper will address the global influence of Aljazeera, a Qatari government-sponsored channel, in ending disputes, which has helped to catapult Qatar into a major regional player. The central aim of this study is to analyze the big role played by tiny Qatar in ending conflicts and disputes especially in the gulf region. This research comprises of five chapters. The first chapter introduces the area of interest for the purpose of this study. The second chapter provides a review of literature on how tiny Qatar has developed to become a major force in the Persian Gulf region and globally. The third chapter presents the methodological approach adopted by the researcher for the purpose of collecting and analysing data for this study. The fourth chapter presents and analyzes various case studies in relation to the research question for this study. The fifth chapter gives the summary of the analysis and presents the conclusion for this research. This chapter review literature on tiny Qatar’s Big Role in ending political disputes and regional disputes in the Gulf region. First, the section describes Qatar’s intervention efforts to the conflict between the government of Yemen and Al-Houthi rebels. Secondly, the section will address the major achievements of Qatar as a major international actor in mediating conflicts during the Lebanon conflict. The unique approach to dispute mediation by Qatar is also demonstrated in the Darfur case. Lastly, the section looks into the recent Libyan revolution and the support of Qatar that demonstrated its power in the Gulf region. Generally, the chapter provides a critical evaluation of various studies that explain how this tiny nation has developed to become a major regional force. Vast literature has covered the intervention of Qatar to the conflict between the government of Yemen and Al-Houthi rebels. According to Kamrava, (2011, p. 88) the dispute started in 2004 and was sparked by antigovernment demonstrations by members of Believing Youth movement, who are also members of the Al-Houthi clan. Armed conflict between the aforementioned parties escalated and continued until the year 2007 when Qatar intervened. Qatar’s officials went to Yemen and promised to provide reconstruction support for the areas that were badly hit by the conflict. Qatar also promised to host leaders of the rebellious movement who would go for exile, among other forms of support. Qatar offered to provide the support if both the Yemen government and the Al-Houthi rebels ceased to fight. Subsequently, an agreement was signed between the disputants and fighting stopped. However, the fighting started again in late 2007 and continued until 2010 when Qatar resumed its mediation efforts. Qatar offered more support to Yemen and the rebels if they stopped the conflict. According to Kamrava, (2011, p. 28) Boucek & Ottaway (2010, p. 78) and Rand Corporation (2010, p. 185), though Qatar’s mediation efforts have been frustrated severally in Yemen, no other country in the gulf region and globally has gone as far as Qatar has. This has helped to reinforce Qatar’s diplomatic prowess. Kamrava, (2011, p. 28) provides as precise coverage of Yemen dispute and Qatar’s mediation efforts and offers excellent analysis of the facts of the conflict. Boucek & Ottaway (2010, p. 78) and Rand Corporation (2010, p. 185) provide a good coverage of the different rounds that Yemen conflict went through until early 2010. However, it fails to provide full details about Qatar’s intervention as it does not cover Qatar’s mediation efforts in late 2010. Fromherz (2011, p. 88) and Blanchard (2011, p. 8) as well provide details of Qatar’s intervention in Yemen conflict, though in brief. These studies fail to provide all the facts related to the dispute as well as those related to intervention process. There only a few studies that have paid precise attention to the Qatar’s achievement in mediating the Lebanon dispute which started in 2005 and ended in 2008. To intervene to this conflict, Qatar established a unique intervention approach from all other nations in the gulf region that had intervened before but their efforts failed to bear fruits (Oxford Business Group (2009, p. 37). according to Oxford Business Group (2009, p. 37), countries such as Saudi Arabia and Egypt intervened and used forceful tones occasionally or were perceived by disputants to favour specific parties to the conflict, which exacerbated the feuds. However, according to Oxford Business Group (2009, p. 37), Qatar avoided taking sides and introduced self as an honest broker. Qatar provided military intervention to stop the conflict as well as funds for reconstruction of areas destroyed during the conflict. Qatari government used Aljazeera Television to cover details of the conflict and displayed the injustices and killings of innocent people by Israel soldiers, which led to a world-wide protest. Towards the end of the conflict, Qatar succeeded in pushing several amendments to cease-fire package which had been authored by the US and France which failed to include an Israeli troop withdrawal. In 2008, Qatar succeeded in facilitating negotiations among the rivals in Lebanon with little assistance from other nations in the gulf region. Generally, Oxford Business Group (2009, p. 37) provides a good analysis of Qatar’s intervention which brings out Qatar as a major actor in mediation in the gulf region. Fromherz (2011, p. 88) and Blanchard (2011, p. 8) analysis the Lebanon dispute but they fail to provide adequate coverage of tiny Qatar’s impressive intervention to the dispute. There are limited studies that have paid attention to Qatar mediation efforts in Darfur, Sudan. Fromherz (2011, p. 88) adequately describes the unique mediation approach of Qatar that helped to end the dispute in which intervention by other actors in the gulf region and globally had failed. According to Fromherz (2011, p. 88), Qatar made great diplomatic achievement in the region with the efforts of minister of foreign affairs, Ahmad bin ‘Abdullah Al-Mahmud. Al-Mahmud engaged in a unique mediation process which started by gathering as much knowledge about the conflict as possible from international actors who had already intervened or who had become stakeholders to the conflict mediation process. The minister gathered more information from the neighboring countries as well before engaging into the mediation process. Mediation process started with on-the-ground gathering of information regarding the dispute by the Minister Al-Mahmud in Darfur, the war torn region. Before Qatar’s intervention efforts, several other nations in the Arab League have tried to intervene but they never succeeded. They were occasionally perceived to favour the Khartoum government and biased against the rebel groups. The rebels thus had a negative impression on any intervention efforts by an Arab state, which posed a great challenge to Qatar. However, as Fromherz (2011, p. 88) explains, Minister Al-Mahmud managed to convince the rebels and to win their trust as an honest mediator who would not take sides. Eventually, Qatar managed to push negotiations between the disputants, which led to creation of peace agreement in 2009 in Doha. Ultimately, an agreement was created to separate the Southern part of Sudan dominated by rebel groups from the Northern part which led to creation of a new Sovereign country in 2011. Generally, as Fromherz (2011, p. 88) explains, the unique mediation approach by Qatar in Darfur dispute has helped to raise Qatar’s diplomatic credentials far high as an international mediator. Fromherz (2011, p. 88) has covered the Qatar’s impressive mediation efforts in Darfur adequately. Though Blanchard (2011, p. 8) analysis this issue, it only provide brief details that do not adequately bring out Qatar as a major international actor in intervention efforts to disputes. As in the case of Sudan and Darfur dispute the number of studies focussing on Qatar’s intervention to the recent revolution in Libya is limited. Blanchard (2011, p. 13) covers the issue, though in brief. As in the other cases, Qatar’s intervention in the Libyan revolution depicts it as a major international diplomatic actor. According to Blanchard (2011, p. 13), the efforts of Qatar in Libyan case started with persuasion of other members of the Arab League to join forces and intervene the fight between Gaddafi government and the rebel group, Interim Transitional National Council (TNC) . Other Arab nations were reluctant and Qatar became the first country to intervene. Qatar joined other international actors such as North Atlantic Treaty Organization (NATO), United States, France and Turkey. Qatar provided military support to TNC, the Libyan opposition leading struggle for revolution. This tiny nation also provided Aircrafts and mirage fighter jets to support the coalition’s air operations. Qatar funded the Libyan opposition to support revolution and offered humanitarian and material support to the Libyan citizens who were affected. As well, Qatar funded television programs airing the operations against Gaddafi forces, on top of an excellent coverage of the events that were taking place in Aljazeera Television channel which were broadcasted all over the world Blanchard (2011, p. 13). This helped to demonstrate Qatar’s active role in the Arab League and in the global Arena. Blanchard (2011, p. 13) therefore provides a brief but concise coverage of Qatar’s intervention efforts in the Libyan revolution. Fromherz (2011, p. 88) also analysis Qatar’s role in Libyan case but fails to give an adequate coverage of the facts that reinforces this tiny nation as an international actor. In conclusion, there are a few studies that have adequately focussed on Qatar’s major diplomatic role in the gulf region. The few studies that have examined the role of tiny Qatar in mediation efforts have brought out Qatar as a major international actor in mediation efforts. The next chapter presents the research methodology adopted for the study. Methodology simply refers to the manner in which we approach and execute functions or activities (Gill and Johnson P. 62, 1997). In doing research, it can be described as a way and manner in which a study is conducted and includes all the methods used to carry out research within either the social and natural sciences. Methodology encompasses the entire process of doing research which involves planning, conducting the research, disseminating the findings and drawing conclusions (Marczyk, et al 2010, p. 123). It is a process that helps to achieve a complete and correct set of information requirements from those involved in the study. This chapter explains the methodology used by the researcher for the purpose of this study, which is influenced by the purpose for this study. It is based on assessment of the optimal strategy for responding to the research questions of this study. As disclosed in this chapter, the researcher sought information from secondary sources on the role of Qatar in the gulf region, its diplomatic prowess as a mediator of political conflicts and regional disputes. The research collected relevant and diverse views from the secondary sources of the many scholars that have conducted intensive studies in related to the subject matter. Before this, the chapter presents the research questions and the hypothesis and reviews the philosophy behind the study. The primary purpose of this study is to examine the role prayed by Qatar in mediating regional disputes and political conflicts. The aim of doing this is to investigate the level or Qatar’s democratic prowess and its power to intervene to conflicts in the gulf region in relation to other Arab countries as well as with some of the most powerful nations in the world. Further, the study aims to investigate the influence of Aljazeera, a Qatar government-sponsored Television channel in the region and the role prayed by Qatar in the recent revolutions in the region, in coalition with foreign groups such as NATO. To fulfil this purpose, it was necessary for the researcher to review literature the diplomatic role played by Qatar as well as its role in the recent disputes and revolutions in the gulf region, in coalition with foreign powers. It was necessary for the researcher to consult secondary sources journals and books that cover studies related to the above issues. All of this was done with an aim of satisfying the research question which was to examine the role played by Qatar in the Gulf region in ending political conflicts and regional disputes. The research Question is; what intervention role has Qatar played to political conflicts and regional disputes in the gulf region, which has enabled it to achieve much diplomatic prowess? According to Trochim, (2001), a research strategy influences the design and gives an opportunity for the researcher to examine how each of the various available approaches may limit or contribute to a study. For the purpose of this study, it was essential for the researcher to examine applicability of both quantitative/qualitative approaches. Qualitative research involves collecting, analyzing and interpreting data that cannot be meaningfully qualified or summarized in the form of numbers (Amaratunga et al, 2002). As Patton (2002, p. 39) points out, qualitative research uses no statistical or measurable figures but produces findings from an analysis of real word situational contexts. It thus helps the researcher to gain a very deep insight into the topic of study. On the contrast, Quantitative research is the collection analysis and interpretation of data involving larger, more representative respondent samples and numerical calculation of results (Creswell, 2003). In this study, the researcher opted for qualitative analysis and thus, presents and analysis series of case studies discussed by researchers in various sources of literature related to the study question. In short, this study will mainly rely on secondary sources due to objectivity of the data that is involved. The researcher therefore found it appropriate to use qualitative approach in this study which Creswell (2003) defined as a “Sequential Exploratory Strategy”. The Qualitative approach, according to according to Creswell (2003), provides a very flexible approach in collecting and analysing data. Further, compared to quantitative approach, it is relatively more adjustable and open to changes, which may need to be made as the study progresses. For instance, if the researcher realises the data sources used may not deliver the required information adequately, it is always open for the researcher to increase, reduce, change or seek alternative data sources. Further, it is easier to validate information collected in qualitative approach, making it more reliable. Since this study involved analysing situations describing the factors that have lead Qatar to become a major regional diplomatic force, qualitative approach provided the best approach of describing the various factors that relate to this fact. According to Plessis (2004, p. 68), the prime objective of any data collection methodology is to improve the reliability and validity of the information obtained. The researcher has to keep in mind the availability of primary and secondary data while deciding about the method of data collection to be used for a study. Primary data is the data that is in raw form, collected for the first time and which is original in nature. Secondary data, on the other hand is that which has been processed and used for a different purpose (Plessis, 2004). Secondary data is usually based on desk-based research. Secondary data provided the researcher with most of the information needed for this research. The data used for this research was primarily collected through desk-based research. The researcher gathered most of the information used for this research from documentary sources especially electronic journals and books in university library, online databases and internet. The documentary sources used mostly range from 1990 to present. In these sources, the researcher reviewed the available relevant literature related to the study topic. Then, the data available data was analysed according to content validity as per the set objectives of the research. Based on the data analysis concrete conclusions were drawn. One major challenge that the researcher encountered was that most of the available sources were outdated the researcher could not fully rely on them. As noted in this chapter, the research methodology best suited for this study is qualitative approach. The researcher mainly relied on secondary sources of information mainly journals, books to complete this study. The secondary sources of information were gathered from university library, online databases and internet. The next chapter will present the analysis of the information relating to the role of Qatar which has led it to become a regional diplomatic force, based on validity of the various sources and the main objective of the study. The main aim of carrying out research is to come up with feasible findings regarding the research question. This chapter presents the analysis and gives an interpretation of the data collected based on the objectives and research questions with a view to fulfilling the aim and objectives of the study. This chapter presents the four cases in which Qatar has intervened to either end conflict on to enhance a transition. In the first case, the section presents the Qatar’s intervention to conflict between Yemen government and Al-Houthi rebels. Secondly, the section adequately covers Qatar’s intervention to Lebanon conflict, a case that helped to raise Qatar’s credentials as a major international actor in mediation efforts, especially those that occur in the gulf region. The third case study presented in this chapter relates to Qatar’s intervention to the recent revolution that took place in Libya, which led to overthrowing of Gaddafi’s dictatorial leadership. Qatar various support interventions which further raised this country’s profile as a major actor in a big game. The last case covered in this section is Qatar’s intervention through application of unique practices to mediate the Sudan-Darfur conflict in which it succeeded irrespective of the fact that the efforts of other international actors who are perceived to be more powerful failed. A concise analysis is done under each of those case studies. Qatar intervened during Yemen government and Al-Houthi rebellion which escalated into armed conflict between the two parties. The armed conflict began in 2004 following antigovernment demonstrations by members of Believing Youth movement which originated in 1990s as an informal advocacy group for Zaidi education and culture (Kamrava, 2011, p. 88; Boucek & Ottaway, 2010, p. 78, Rand Corporation, 2010, p. 185, Fromherz 2011, p. 88 & Blanchard, 2011, p. 8). This group protested and interrupted mosque services and other activities in Saada region shouting anti-government, anti-Israel and anti-American slogans. The group criticized Yemen government for its corporation with the governments of United Sates and Israel. As a result of this, approximately 600 members of the rebellious group were arrested and detained by Yemen government. The protests escalated into an armed conflict between the members of Al-Houthi and government forces. The leader of this rebellious group, Hussein Al-Houthi was killed in a fight which led to death of more than a thousand Yemen civilians. Hussein Al-Houthi was succeeded by his father Badr al-Din Al-Houthi and the fighting continued until May 2005 when Saleh, the president of Yemen, declared amnesty on Al-Houthi supporters. According to Kamrava (2011, p. 88), Boucek & Ottaway (2010, p. 78) and Rand Corporation (2010, p. 185), president Saleh did not release all Al-Houthi supporters who had been detained, which led to continuation of sporadic fighting. Though the government continued to release more members of this rebellious group, the fighting did not end and escalated until 2007 when Qatar intervened through mediation efforts. In May 2007, Qatar’s leaders visited Yemen and met with Yemen government officials and Al-Houthi leadership (Kamrava, 2011, p. 88; Boucek & Ottaway, 2010, p. 78, Rand Corporation, 2010, p. 185, Fromherz 2011, p. 88 & Blanchard, 2011, p. 8). They conducted a series of meetings in which a list of general principles were created leading to a ceasefire in the mid-June 2007. The Qatari officials offered to allocate funds for reconstruction of vital facilities that had been destroyed during the war, if the two opposing parties agreed to end the fight (Kamrava, 2011, p. 88 & Rand Corporation 2010, p. 185). Qatari government promised to provide approximately $300-500 for reconstruction purpose. As well Qatar offered to hosts the leaders of Al-houthi rebellion in Doha if they made a peaceful agreement or wished to leave Yemen and find refuge in Qatar. As a result of the intervention, the two sides ceased fighting and began taking tangible steps in accordance with the agreed principles. However, the optimism did not live long. According to Kamrava (2011, p. 88) and Rand Corporation (2010, p. 185), both the rebel movement and Yemen government forces continued fighting and by late 2007, fierce fighting had engulfed the northern areas of Yemen which were dominated by Al-Houthi supporters, leading the peace agreement obsolete. the fighting continued until summer 2010 when Qatar resumed its mediation efforts. In July 2010 Qatar’s Emir, Sheikh Hamad Al Khalifa Al Thani visited the war-torn region and met with negotiators of both Yemen government and of the rebel movement (Kamrava, 2011, p. 88). This was followed by series of meetings in Doha, in which negotiators from both opposing sides were invited. According to Kamrava (2011, p. 88), the Sheikh Hamad Al Khalifa personally encouraged Yemen president in a phone call to help in creating another agreement with the Al-Houthi rebel negotiators. In August 2010, a new agreement was created between Yemen government and the Al-Houthi rebel movement in Doha but according to Kamrava (2011, p. 88), the Emir of Qatar and the president of Yemen remained in the background. Though this stabilized the country for a while, the fighting has continued with Qatar still pushing to intervene. Although attempts to negotiate between Al Houthi and theYemen government have frustrated severally and peace agreement broken down, Qatar was still seen as ‘the only player that seem s to be able to make any difference. According to Ghobari (2010) many regional governments tried to intervene and end conflict between Yemen government and Al-Houthi rebel movement militants but none went as far as Qatar did. For instance, in 2006, Yemen government sought help from Libya which was unable to intervene. Eventually relations between Yemen government and Libya soured as Yemen government accused Libya of assisting the rebels. As well Saudi Arabia intervened to end the war in Saada but it was unable to achieve the objective without taking sides. Iran tried to intervene in 2009 but did not succeed and left Qatar to proceed with mediation efforts. Thus, despite the setbacks in Yemen case, Qatar is the only player that has achieved much in mediation efforts in Yemen in the world. This further reinforces its diplomatic prowess and power in mediating complex conflicts. Lebanon has been rocked by a series of crisis since the assassination of its former Prime Minister Rafik Hariri in February 2005. This culminated into conflicts with Israel. Several Arab nations apart from Qatar intervened to mediate the Lebanon crises and provided support assistance in one way or another but their efforts did not succeed. Most of these mediators were accused of being biased against a given party to the conflict (Oxford Business Group, 2009, p. 37, Fromherz, 2011, p. 88 & Blanchard, 2011, p. 8). But as Oxford Business Group (2009, p. 37) points out Qatar’s intervention approach was unique from that of other countries in the gulf region due to its added approach of ensuring that it provided aid that helped to win the trust of the conflicting parties as an honest broker. This acted as a source of reconciliation among the conflicting forces, instead of exacerbating the feuds. Qatar’s leader, Sheikh Hamad Al Khalifa Al Thani was the first Arab leader to visit Lebanon after the UN-sponsored cease-fire came to effect on August 2006. He was the first leader to tour the areas which were bombarded by Israel. Qatar was the first country to commit its troops under UN umbrella to Lebanon. Even before the conflicts ended, the government of Qatar had promised to rebuild four towns in Lebanon which had been destroyed by Israel. Qatar encountered Bureaucratic obstacles including local Persian controversies over initial damage assessments but government officials made substantial progress. Qatar provided more assistance to the areas that were affected by the dispute in Lebanon through for instance construction of private homes, places of worship, schools and infrastructure. According to Fromherz (2011, p. 88) Cordesman & Al-Rodhan (2007, p. 157) and Blanchard (2011, p. 8), Aljazeera, the Television station sponsored by Qatari government clearly aired the war scenes between Israel and Lebanon especially in summer 2006, showing the Israel’s massacre of innocent Lebanese to the world. As well the Channel covered the subsequent outpouring investment and reconstruction aid provided by Qatar in the areas that were affected by the war in Lebanon. Qatar took a balanced approach to Lebanese issues at the United Nations intervention meeting in relation to the Lebanon issues through pursuing a more nuanced policy than those of many other Arab countries (Oxford Business Group, 2009, p. 37). Other countries in the gulf region such as Saudi Arabia failed in their mediation efforts but Qatari negotiators were able to strike an agreement having established long-standing relations with the Hezbollah and other parties in Lebanon. Early in the war, Qatar’s envoy to the UN sponsored a ceasefire resolution in the Security Council that was blocked by the US. This did not frustrate Qatar’s efforts and towards the end of the conflict, Qatar succeeded in forcing several amendments to another cease-fire package authored by the US and France because the initial draft did not include an Israeli troop withdrawal. The Qatari intervention ensured that the intervention required a pullout. Qatar also played a conspicuous role in the debate over the resolution that invoked some UN rules to ensure the creation of a special court to try suspects in 2005 Hariri assassination (Oxford Business Group, 2009, p. 37). According to Oxford Business Group (2009, p. 37), the Qatari envoy abstained, warning UN colleagues that far from improving the delicate situation in Lebanon, the resolution’s passage threatened to make things worse by increasing tensions between the Lebanese government and Shia opposition. Qatari officials explained their stance at the Security Council by describing their efforts as being aimed at protecting the long-term interests of all Lebanese, rather than just the short-term demands of the Lebanese government and its supporters. This led to considerable Constar-nation in Beirut and certain other Arab capitals, as well as in Paris and Washington as they openly backed the senior Lebanese officials led by Prime Minister Fouad Siniora. But Qatar made no apologies for its position and has so far risen in the esteem of many Lebanese for its willingness to defy some of the world’s most powerful countries to defend what it regards as important principles. In 2008, Qatar government, with little assistance from the Arab league succeeded in facilitating negotiations between rivals a mediation which resulted in Doha agreement that guided parliamentary elections in 2009 (Oxford Business Group, 2009, p. 37, Fromherz, 2011, p. 88 & Blanchard, 2011, p. 8, Kamrava, 2011, p. 29). Qatar’s famous mediation in Lebanon has also propelled its credibility as a negotiator in the gulf region. Generally, Qatar applied ‘soft’ strategies in the Lebanon mediation with the aim of achieving a balance between the conflicting sides. Qatari officials focused primarily on finding a solution to the dispute through corporation, compromising and consensus instead of competition. They focused on strategies that would make the parties to refrain from their usual competing strategies. To the rest of the world, it appeared as if Qatar had saved Lebanon from a brink of catastrophe. Though the peace negotiations took place under the UN and Arab league umbrellas, Qatar was perceived as the force that made the negotiations possible. As well the coverage of the war between Israel and Lebanon by Aljazeera in 2006 showing the Israel’s massacre of innocent Lebanese to the world as well as the reconstruction and investment aid provided by Qatar increased this country’s good will in the gulf region and in the world (Atef, 2010). Both the economic aid and diplomatic pressure have reinforced Qatar’s status as an objective party in Lebanon’s internal politics. Qatari diplomacy approach in Lebanon is brings a challenge to traditional patterns of leadership in the gulf region. The trends above are also evident in the Qatar’s policy intervention to the recent revolution that took place in Libya. Before the Libyan crisis escalated, Qatar officials persistently urged the other parties in the Arab league to join forces and intervene, especially Saudi Arabia and Egypt. With the rest of the members showing little or no willingness to intervene, Qatar was the first among the Arab league states to intervene by formally recognizing Interim Transitional National Council (TNC), a Libyan opposition leading struggle for revolution (Blanchard, 2011, p. 13 & Fromherz, 2011, p. 88). Qatar provided assistance to this opposition by offering military aircraft in coalition with foreign powers involved in the revolution operations such as United States, Turkey and NATO. Qatar provided C-17 aircraft and several mirage fighter jets to support the coalition air operations. According to Blanchard, (2011, p. 13), Qatar provided a variety of material and humanitarian support to the Libyan citizens as well as TNC. On top of this, it provided funding amounting to $500 million to support the revolution operations. Before this, TNC had agreed to a proposal for Qatar market oil on behalf of this opposition after which earnings are deposited in an escrow account. This has led to a departure of oil shipments as well as shipment of various refined products from ports held by opposition to the control of Qatar government. Qatar’s intervention to the Libyan crisis was not limited to material support. It also funded projects such as Libyan TV, which was set up to counter propaganda machine used by pro-Gaddafi. As well, Qatar started hosting television channels which largely covered the opposition trends that are up-to-date broad casted under the auspices of Aljazeera. Further, Qatar hosted the first meeting to discuss the need for intervention to Libyan crisis which included senior officials from Unite Nations, United States, European Union, African Union and several key governments The operations in Libya ended in a successful revolution in which the president Gaddafi’s leadership was overthrown, Gaddafi killed and leadership taken by the opposition rebels (Blanchard, 2011, p. 13 & Fromherz, 2011, p. 88). The role played by Qatar in the Libyan conflict has helped to boost its profile further as major and powerful actor in supporting transitions in the gulf region. Remarkably, Qatar stood out as powerful and unique from the rest of the Gulf States. Its presence in propelling Libyan revolution was felt globally. It adequately competed with countries such as Egypt and Saudi Arabia in the gulf region, which have centuries of history in conflicts mediation in the Arab states (Watson, 2011). As well it competed effectively with countries such as Iran which have tremendous resources and which have massive geography and demography. In the gulf region, a country’s intervention to foreign conflicts and disputes is regarded as one way of attaining political security and economic stability and thus, such a move is well received at home (Watson, 2011). Qatar’s intervention in Libya demonstrates its active role in the global arena which provides it with a chance to protect its existence and its wealth. Further, this opens door for this tiny country to take leadership role in mediation of conflicts and disputes in the gulf region, which for a long time has been dominated by countries such as Egypt and Saudi Arabia. The involvement of Qatar in Sudan conflict started in 2008 with the efforts of Ahmad bin ‘Abdullah al-Mahmud, Qatar’s minister of foreign affairs. Before engaging in the mediation process, al-Mahmud engaged in a series of activities that made the mediation process easier and successful. First, he travelled to various nations to meet national governments and other international actors who were already involved in mediation process in Sudan or those who had become stakeholders of the conflict (Fromherz, 2011; p. 88, Blanchard, 2011, p. 8; Suleiman, 2011, p. 117 & Kamrava, 2011, p. 28). He met officials from different nations including Libyan, French and Chinese foreign ministries, US state department the African Union, the Arab League and United nations. In his travel, he gathered as much information as possible about the conflict, took time to understand the perspectives of the different actors as well as the preferences of the international actors who had already intervened to the conflict. Most importantly, minister al-Mahmud needed to secure the approval of the international actors already involved in mediation process for Qatar’s substantive involvement and to take a leading role in the mediation efforts. Al-Mahmud also gathered essential information from neighbours of Sudan. After he completed this mission, Al-Mahmud travelled to Khartoum and Darfur, the conflict torn region to gather first hand information about the conflict. Qatar established the need for on-the-ground information gathering in order to build confidence among the disputant parties that Qatar was sincere in its mediation efforts and would objectively handle the conflict. According to Kamrava, (2011, p. 27) and Blanchard (2011, p. 8) the Darfurians had become weary of the mediation attempts by nations from the Arab League and Egypt most of whom had become biased in favour of Khartoum. Thus, they were not ready to welcome another Arab government to meddle in their affairs. Moreover, they had already become tired of mediation processes after past negotiations which had resulted into impressive signing of peace agreements failed to bear any fruits. But According to Kamrava, (2011, p. 27), the process taken by Al-Mahmud helped to generate considerable goodwill towards Qatar among the fighting groups. The approach adopted by Qatar was unique compared to all those that had tried to intervene before. The tactic helped Al-Mahmud to learn lay of the conflict-torn land and the specific issues that were involved, more than all other actors that intervened before. This helped to establish the credentials of Qatar as unbiased and knowledgeable in the eyes of the disputants. Eventually, Qatar managed to invite negotiators from the disputant groups to Doha. In 2009, a negotiation meeting was held in Doha which was attended by representatives of Sudanese government and the Justice and Equity Movement (JEM), the largest Darfur rebel group. In the meeting, the two opposing sides signed a memorandum of understanding (MOU) which would result into settlement of the problem in Darfur. Negotiations continued to take place in Doha between officials of Sudanese government and the Darfur rebels until the year 2010 when an agreed was signed to split Darful region into a new country (Fromherz, 2011, p. 88; Blanchard, 2011, p. 8, & Kamrava, 2011, p. 28). To be certain, the intervention to the disputant groups in Sudan has been quite complicated and difficult taking into account that several previous attempts to reach a peach agreement failed to deliver any results. Previous attempts by other nations in the Arab league as well as some of the most powerful nations in the world did not bear fruits. As noted in the above case study, Egypt and Arab league members had intervened before Qatar but their efforts were unsuccessful mainly because they were perceived to take sides mostly in favour of the Khartoum forces. But the impressive intervention of Qatar mediators helped in building trust in the disputants. Qatar demonstrated patience and determination in their dealings to ensure that the mediation process became successful. They remained gracious and generous to different disputants groups and took time to establish trust with the reel groups, which had been affected most. This case shows that though Qatar is a tiny nation, it has power to involve itself and to succeed in quite complicated mediation and conflict resolutions which bigger nations in the gulf region and globally may not manage. The approach to gather information on the ground and establish trust before mediation efforts was quite methodical and enabled Qatar to establish goodwill, not only among the disputants, but also globally. As it may be determined in the current section, the results of the analysis demonstrates how Qatar, a tiny nation, has emerged as a major actor in mediating political disputes and regional conflicts especially in the gulf region. Remarkably, the case studies focussed on in this chapter provides adequate responses to the research question of this study. The next chapter will provide a summary and conclusion of this study. This chapter presents the summary of the analysis of the study cases in relation to the study objective and research question. The section will also provide conclusions based on the analysis of case studies from chapter 4. Previous studies on Qatar’s response to regional conflicts and disputes have established that Qatar has been using unique balanced approach which has enabled this tiny nation to achieve much success in mediation processes. In the Yemen conflict, the previous studies found that though Qatar’s mediation efforts were frustrated severally, no other nation in the world achieved better results than Qatar. The studies indicate that in the Lebanese conflict, Qatar emerged as the only broker whose efforts would deliver peace after interventions by other nations in the Gulf region and some of the most powerful nations in the world failed to succeed. According to the previous studies, the unique balanced approach enabled Qatar to succeed in mediating disputants in Darfur region in Sudan, which other members of the Arab League and international actors were unable to do. As well, the available past academic literature has demonstrated the power of Qatar in supporting transitions, focussing on the recent revolution in Libya which resulted in overthrowing of Gaddafi’s dictatorial leadership. But as noted, only a few of the previous secondary sources have adequately covered Qatar’s impressive performance and demonstrated its diplomatic prowess. This study about Role of Qatar in Mediating Conflicts and Enhancing Transitions in the Gulf Region contributes effectively to the body of scholarly knowledge by analysing various previous studies and bringing together different pieces of information to adequately demonstrate the tiny nation’s progress in achieving its current diplomatic prowess. This was done with a central aim of analysing the big role played by tiny Qatar in ending conflicts and disputes especially in the gulf region. To achieve this, the researcher decided to focus on Qatar’s intervention to disputes in four countries namely; Yemen, Lebanon, Sudan and Libya. In order to investigate the nature of Qatar’s progress in intervention to regional conflicts, this study proposed a research Question, in line with the study objective. The research Question is; what intervention role has Qatar played to political conflicts and regional disputes in the gulf region, which has enabled it to achieve much diplomatic prowess? To reiterate these findings in a more concise format, it can be said that this study answered the research question by offering an insight into the tiny Qatar’s role and success mediating in disputes and conflicts that have engulfed the aforementioned four nations in the past. By analysing the various academic studies related to the study topic, this study found that among other things, the power of Qatar and its balanced approach to mediating conflicts and disputes has enabled this tiny nation to become a major international actor in mediation efforts. From the analysis of four case studies, it has been established that Qatar has been able to achieve much diplomatic prowess brought about by its balanced approach to conflicts and disputes interventions and persistence as in the case of Yemen. In Yemen, this approach enabled Qatar to achieve better results in mediation process than any other country in the world. Qatar applied similar approach to intervene in the Lebanese conflict which as well, helped to raise the credentials of this nation further as a major actor in mediating regional disputes. As noted in the analysis, Qatar’s unique balanced approach to conflicts and disputes intervention has greatly enabled this nation to succeed in mediating disputants in Darfur region in Sudan something that other members of the Arab League and international actors were unable to do. Finally, in line with previous studies the analysis has demonstrated that Qatar has been using its power which emanates from its vast resources and its powerful television channel, Aljazeera to support transitions of power as in the case Libyan revolution which led to overthrowing of Gaddafi’s dictatorial leadership. In various cases, Qatar has achieved the success single handily and in others, in coalition with other international actors such as United Nations, Members of the Arab League, United States and the NATO. Despite the impressive list of Qatar’s mediation activities, Qatar’s international affairs are not only defined by mediation prestige as the analysis has shown. The use of Aljazeera for instance shows that Qatar has its own interests to promote and to preserve. Although these interests may seem obscured by its apparent disinterested status as a negotiator, they have a very real impact on its relations with the regional and international community. As disclosed in the case studies, Qatar has successfully made itself into a world stage of opinion and controversy. In many respects, it has successful foreign policies of balancing powers that has created its current status and it will be these foreign policies and international commitments that secure both its incredible wealth and its independence for future. As it has been seen, Qatar’s strategy has been kept straight face, to deal with each of its strategic partnerships individually. Unlike lumbering major powers or even regional powers with complex diplomatic establishments, and interests that are often stated or easily implied at the outset, Qatar’s diplomacy is not only nimble, it is also a tighter-ship. Qatar’s involvement in regional disputes and conflicts implies that balanced approach during mediation efforts and substantial material and other forms of support interventions are necessary to resolve an issue as this has helped to increase the prestige and opportunities for this tiny nation.